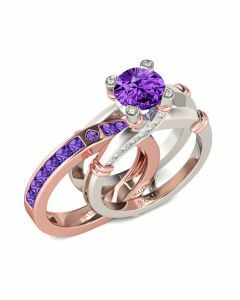 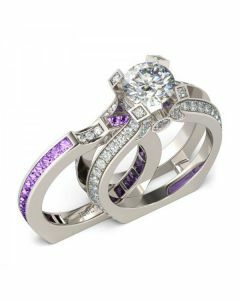 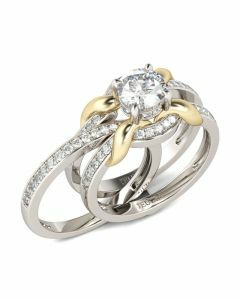 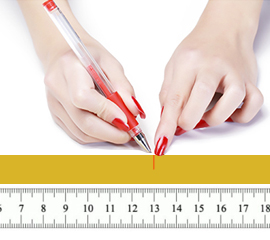 Capture the brilliance of your romance with this exceptional ring set. 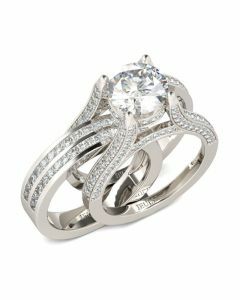 Crafted in sterling silver, this classic style features a sparkling round-cut center stone standing tall on the shank. 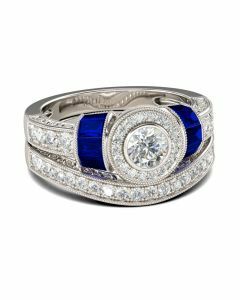 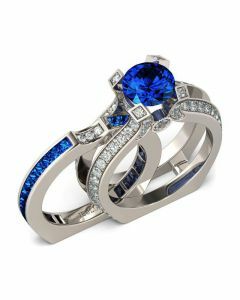 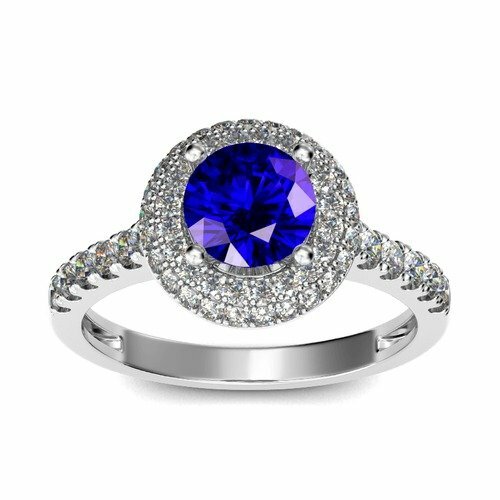 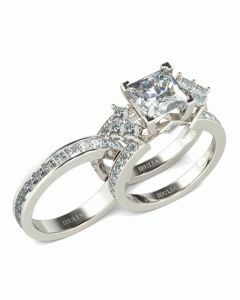 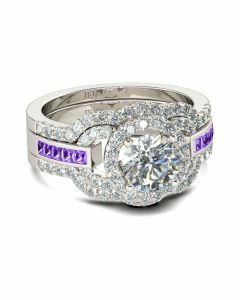 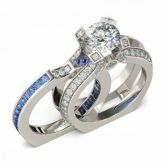 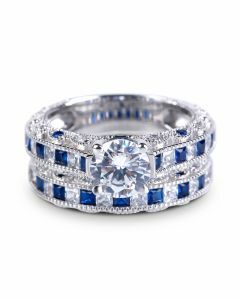 The inner band glistens with a row of blue princess-cut stones and three round stones,completing this elegant design. 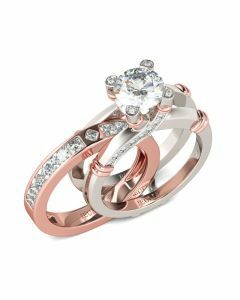 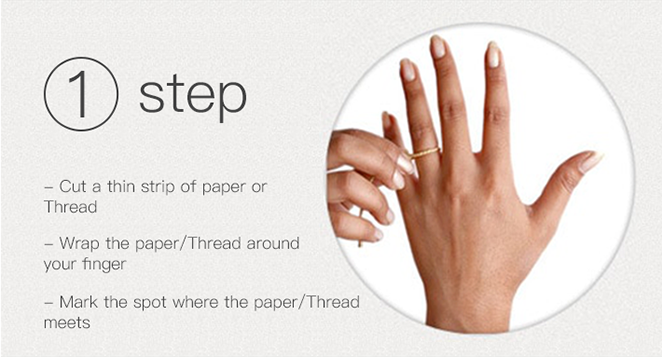 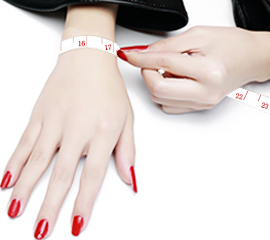 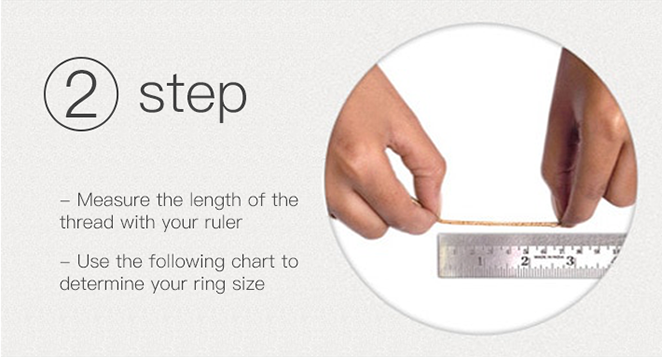 An elegant choice, this stunning ring set shares your vision of the future.